Photography services for architecture, interior design, product, and portrait photography. Architectural Photography for the Real Estate and Vacation Rental Market. VRBO, AirBnB, MLS, Full Service Photo, Video, Web Production. Aerial / Drone photography and video production services. Estate Photography specializing in vacation rental, residential and commercial real estate photography that emphasizes interior design and architectural aesthetics. Providing realistic images to help each individual customer attain their vision for their property. Through clear communication and customer service each project is carried out with precision, and must meet the expectations of every client. I provide high quality, architectural and interiors photography to real estate agents, architects, stagers, builders, designers and homeowners. I believe all professionals and homeowners deserve to have their businesses and homes promoted with the highest of standards in photography for today’s visually driven clientele. By offering a variety of packages, I am able to provide competitive prices for all levels of the housing market in the Roaring Fork Valley and beyond. Photojournalism, landscape, and travel photography are also a great passion of mine. When I am not working as an architectural and interiors photographer, I like to spend my time traveling, attending festivals, and documenting life's great adventures. 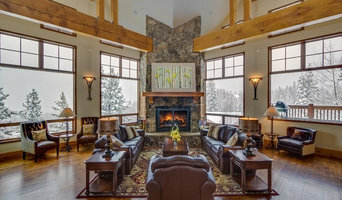 Interior design and architectural photography serving the Mountain West Region of Colorado. • Jason lives in Colorado with his wife and two amazing kids, and has been photographing exceptional spaces for architects, designers, ad agencies, and the hospitality industry for 22 years. Jason's experienced perspective in capturing the built environment allows him to collaborate with clients and create award-winning and iconic images. His work has taken him to Dubai, Indonesia, Mexico, throughout the Caribbean, and across the U.S. from the Hampton's to Malibu. • Jason and his team are known for strong conceptual and creative execution, and bring a unique vision and broad range of capabilities to every project, from small residential to large scale commercial. We work hard, and we love what we do. We listen to our clients and help them create images that win awards and exceed expectations. Our bids are competitive and realistic, and we believe in maintaining the highest degree of ethics and accountability. • HOSPITALITY: In the hospitality industry, we are known for creating dramatic and iconic images that represent the unique character of each property, while paying close attention to maintaining brand identity and consistency. Over 20 years of experience photographing hotels and resorts allows us to work while minimizing impact on guests; Jason and his crew pride themselves on being able to “get the shot” without being obtrusive. Clients include Starwood (St. Regis, Westin, Sheraton, Luxury Collection, Aloft and W Hotels), Hyatt, Auberge Resorts, Mandalay Bay, Viceroy, the Jumeirah Group, and Intrawest. We can provide numerous recommendations and testimonials from PR agencies, marketing execs, and property GM's. • POST PRODUCTION: We specialize in sophisticated compositing and retouching, and always deliver final images on time, on budget. Architectural photography is a highly technical and demanding discipline, and we provide comprehensive solutions to capturing the most complex projects. 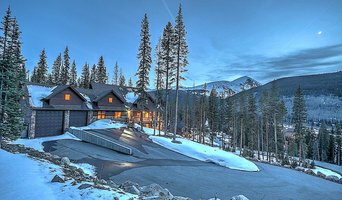 Hufker Photo provides quality architectural photography throughout Aspen and the Roaring Fork Valley. Scott Cramer People, lifestyle, commercial, architecture, travel, landscape and outdoor adventure photographer - Vail, Colorado. A photo shoot with Brent means you'll see results that come with experience, ambition and attention to detail with a fun, accommodating and accomplished photographer that has expert computer skills. It seems like a former life that Brent left behind after owning a successful pre-press business in the Washington, D.C. area. But that very life gave Brent the tools he needed to produce the beautiful photography illustrating all of what our valley has to offer. He is most inspired by the people he meets and the Vail lifestyle, breathing life into his photography. Favorite activities besides constantly studying ways to improve this photos? Burning up the roads on his bike and building a cafe racer! Oh, and flying bush planes in the mountains favorite quote? "To keep your balance, you must keep moving." 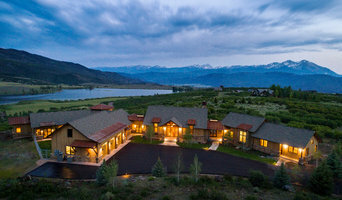 An architectural photographer and retoucher based in Carbondale, CO. Interior design, architectural and real estate photographer. Before you call any potential photographers, make sure they have good references. Friends who've sold or rented homes before are great resources, as are local real estate agents. Look through each Colorado photographer's online portfolio to make sure what you're looking for is being offered. Once you've done that, it's a good idea to walk around your home and write down exactly how many and what types of shots you'll need. Include any specifications you might have, such as angles, things to consider about your home’s Aspen, CO site, the time of day you think will be best and aspects of your home you want to highlight. Find a home photographer on Houzz. 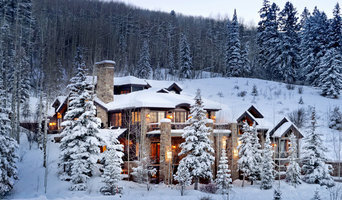 Narrow your search in the Professionals section of the website to Aspen, CO photographers. 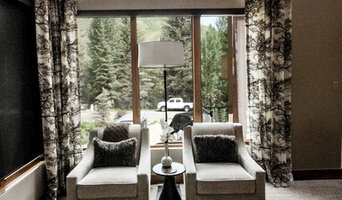 You can also look through Aspen, CO photos by style to find a room you like, then contact the professional who photographed it.